“Machine Gun Funk” was a 1994 record from Notorious Big. The single was on the platinum platter Ready To Die. This song was the truth. I had to take a 2nd look and listen to this song. Biggie tahgut me how to floss. I never thought hip hop could take it this far. This will always be a classic song. I know NY gets down when this is played. Big Ups to Mtume for the sample. 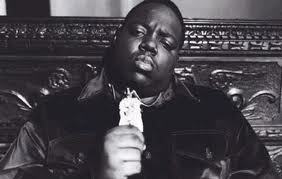 Biggie showed us his struggle and we nodded our head to it. This man was taken way before his time.